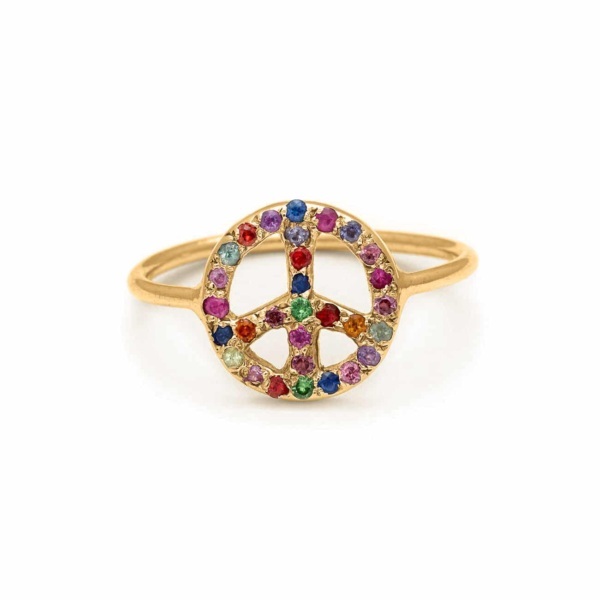 The peace sign is a signature in the collection. 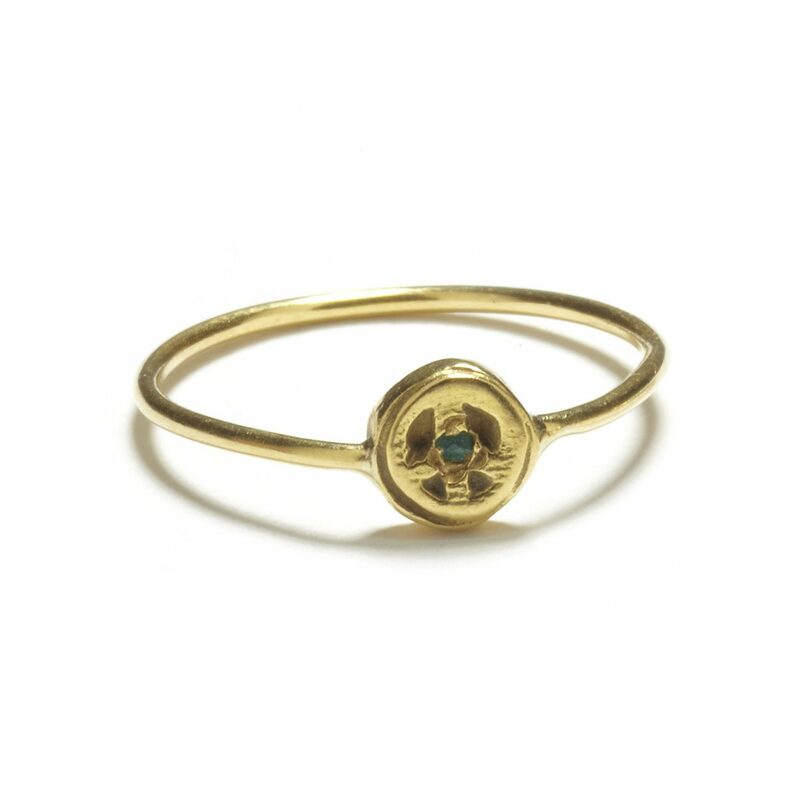 This 18 karat yellow gold peace disk ring is set with a Brazilian paraiba tourmaline. Handcrafted by Elisa.